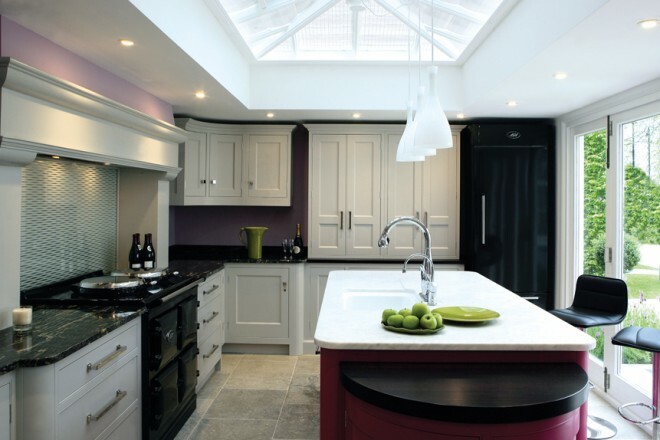 A Skylight or Lantern can introduce light to otherwise dark areas but it can also introduce, heat, glare and light when it is not wanted. For these reasons it is important to select the right shading solution to be sure you can control and enjoy these new areas. What is the room that has the skylight in to be used for? A Living Room – Is it just screening to reduce heat and glare – does it need to be blackout? Are the blinds to be a feature of the room? – giving some feeling of warmth and give some decorative appeal at night time for example? These will probably follow the roof line (if applicable) or be the Sun Protection system with no guide wires. Blinds can often be concealed so that they can’t be easily seen when not required is this is something you are want consider? What density will you require the blinds material to be? Blackout 100% – not easily achieved – will require side channels, do these need to be built in during construction? 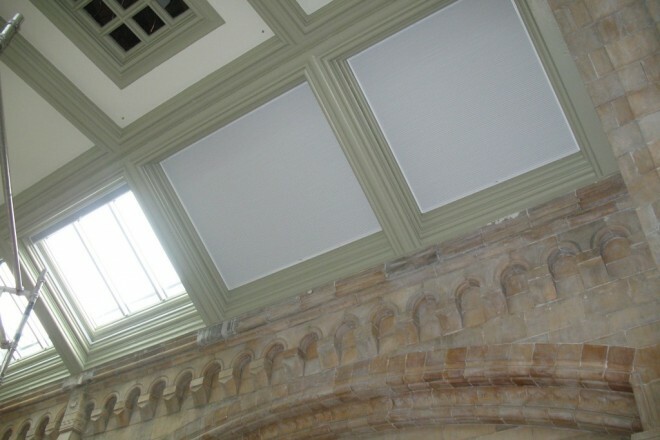 We recommend for ease of operation that all skylight blinds are motorized? Do you have the necessary power provision? Rechargeable battery solutions are improving all the time but are limited to certain products. 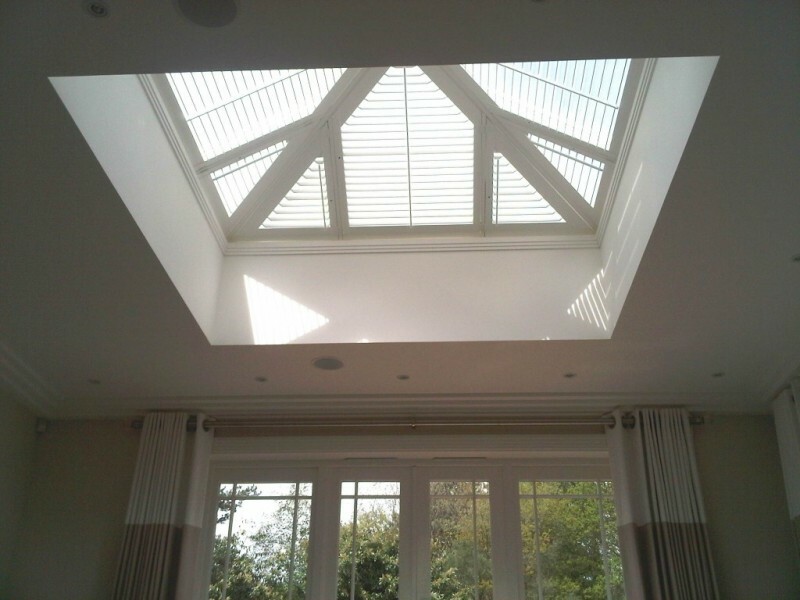 What are the main reasons for having blinds fitted to a skylight or lantern area? This depends on the room in question but in a bedroom, for example, blinds to a skylight or lantern will make the room considerably darker at night. This, in turn, can lend a bedroom a more dressed feel. Blinds can also keep any room cooler on warmer days and reduce the amount of glare entering the room. We’re looking for a minimalist feel to our interior space. Won’t skylight or lantern blinds tend to interfere with this effect? On the contrary, lantern and skylight blinds can help achieve a pulled-together look. Blinds can often be stacked within the ceiling or lantern/skylight construction, meaning they will be out of the way entirely when not being used. Grants can also work with architects, builders and designers to ensure such considerations are planned in at the earliest stage. Solarwood ® is our own carefully engineered reflective backing. It increases the reflection of heat, glare and UV transmissions while allowing the soft light effect of the weave to continue to filter through. The solar reflective lining option provides maximum glare, solar heat gain and insulation efficiencies. The high-performance lining is attached discreetly to the reverse side of the blinds. Providing additional privacy, this option is also recommended in rooms used year round or where excessive heat in a room is an issue.